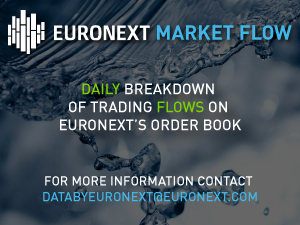 Euronext has recently teamed up with AnalytixInsight to offer CapitalCube, a cloud based financial analytics platform. CapitalCube.com provides comprehensive company analysis including on-demand fundamental research, portfolio evaluation, and screening tools on over 45,000 global equities and North American ETFs. The online portal empowers your investment ideas through in-depth analysis on a company’s performance relative to its peers, accounting and earnings quality, dividend strength, and likely corporate actions such as dividend changes, share buybacks, and acquisitions. AnalytixInsight is the developer of proprietary technology that algorithmically analyzes big data and distills it into actionable insights. Technology that is scalable, highly customizable and has multi-language capabilities. Raw financial data is transformed into insightful narratives. Workflow schedules are robotically analyzed for maximum performance.